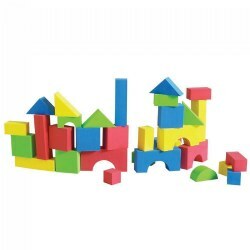 My son has been playing with these since he was 8 months old (with supervision as they're on the tiny side) and even his 5 and 3 year old brother and sister enjoy them. 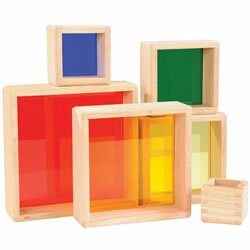 The red, blue, and yellow blocks have different sounds. 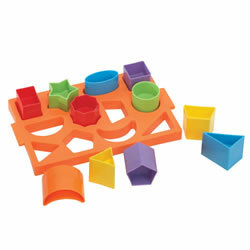 The orange, green, and purple blocks have different textures. 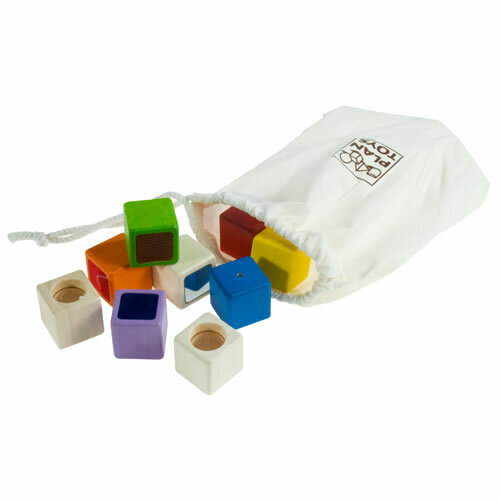 The natural blocks have different visual components. They're colorful, tactile, and versatile. 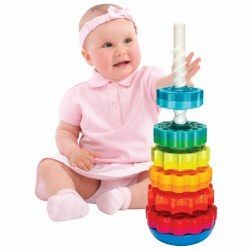 You can stack them like regular blocks and knock them down, one of my son's favorite activities. The kids also took to putting them in their play kitchen pots and stirring them around. Inside a stainless steel pot they become musical instruments. My son is a year old now and he still plays them almost everyday. We also use them to talk about colors and shapes. They come with a nice, durable cloth bag to store them in. You could also toss them in your diaper bag for on the go fun. They're holding up quite nicely considering they are used practically everyday by 3 children. I will be able to save them so my son can pass them onto his children. 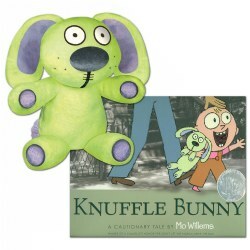 This would make a wonderful first birthday gift.